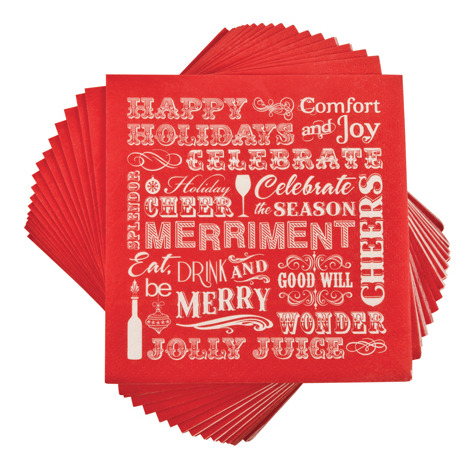 Let this napkin set say it all this holiday season! Your guests will love the festive design and cheery greetings. Set of 20 napkins. 3-ply. 5x5 square.